Small town feel, surrounded by a hive of activity. Historic Bloomingdale’s nested neighborhood offers a distinctly different vibe from Shaw, LeDroit and Logan, while embracing all they have to offer. Colorful Victorian rowhouses, a cool, painted downtown district and striking wall murals. 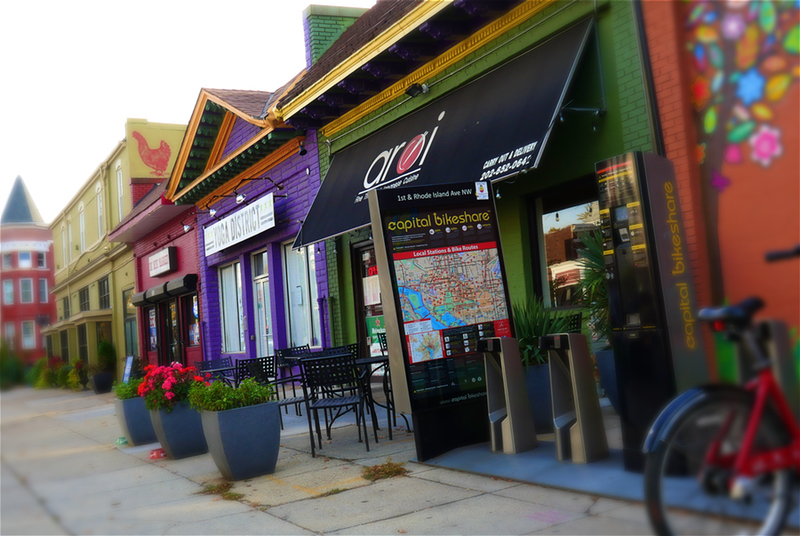 In Bloomingdale DC, authenticity and charm abound. Take a slow bike ride to Yoga District and chat up neighbors on the way. Taste goodies at Grass Roots Gourmet. Plant a garden. Sketch scenic streets. Savor the Ricotta crostini at Red Hen. Invite friends to sample all 7 courses at Thai X-ing. Swill at Showtime or imbibe bourbon at Boundary Stone. Embark upon a walking mural tour of Bloomingdale and neighboring hoods with your 4 legged. Volunteer at Crispus Attucks Park. Swill at Showtime or imbibe bourbon at Boundary Stone. Embark upon a walking mural tour of Bloomingdale and neighboring hoods with your 4 legged. Volunteer at Crispus Attucks Park. Boycott raisins at Big Bear Cafe. Veg out at Timor Bodega. Remember to share. It’s a Bloomingdale thing..
Why should you care about Bloomingdale real estate market data? Because it's the measure of your investment over time! Even if you don't have students in your home, school ratings are an important factor in home value. Bloomingdale DC began as several large estates and orchards located just outside the original boundary of the City of Washington. Residential development started in the late 1880s, shortly after the County of Washington was absorbed by the City of Washington. Boundary Street (Florida Avenue), was the dividing line between paved, planned streets to the south and rural country to the north, where landowners maintained orchards and large country estates. Later, some of these gave way to commercial properties. George Beale and wife Emily purchased t a 10-acre parcel of land along the City boundary in 1823 and named it the “Bloomingdale Estate.” The estate eventually grew to 50 acres and the name stuck. After Emily Beale’s death in 1885, her heirs began to sell large tracts of the estate to developers, who created residential developments between the already established LeDroit Park and Eckington neighborhoods. By 1887, city planners were talking about extending the city’s paved street grid into Bloomingdale. By 1894.roads were improved, curbed, and paved. Streams and creeks like Tiber Creek were buried or re-directed south of Bloomingdale. One section of the Tiber Creek in Bloomingdale ran along what is now Flagler Place. Some of the earliest Bloomingdale homes were built between 1892 and 1900. One of the first Bloomingdale residences was 2122 1st Street, built in 1900 by Samuel Gompers. In 1903, eleven homes were built along Rhode Island Avenue. Spec homes by developers like Harry Wardman, S. H. Meyers and Francis Blundon followed. Many of Wardman’s early Bloomingdale homes incorporate elements of Richardson Romanesque architecture, while his later designs on Adams and Bryant Streets, were designed in the set-back, brick with covered front porch style for which he is most famous. Blundon built several homes along 1st Street including his own home at 100 W Street. In 1904, Nathaniel Parker Gage School, was built on the 2000 block of 2nd Street. By 1909, the old estates had all been sold and divided, Tiber Creek buried, and the neighborhood street layout had been fully developed into its present configuration. Many homes in the northern section of Bloomingdale retain carriage houses, some of which have been converted to private residences. The Gage School was converted to condominiums in 2007. On May 22, 2010, the city officially dedicated a new alley street, Bloomingdale Court, N.W. between the 100 block of U and V Streets, N.W., and the 2000 block of 1st Street and Flagler Place. Looking for the right neighborhood fit for your home purchase?